Articles today i learned (til) Autonomous Sensory Meridian Response (ASMR): Telepathic Massage Therapy? Autonomous Sensory Meridian Response (ASMR): Telepathic Massage Therapy? 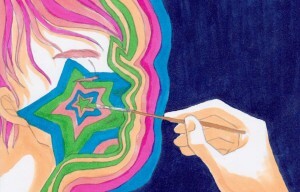 People with ASMR tingle when they sense…pure bliss? You know how Spider-Man had a special spider-sense that would tingle whenever danger was lurking? 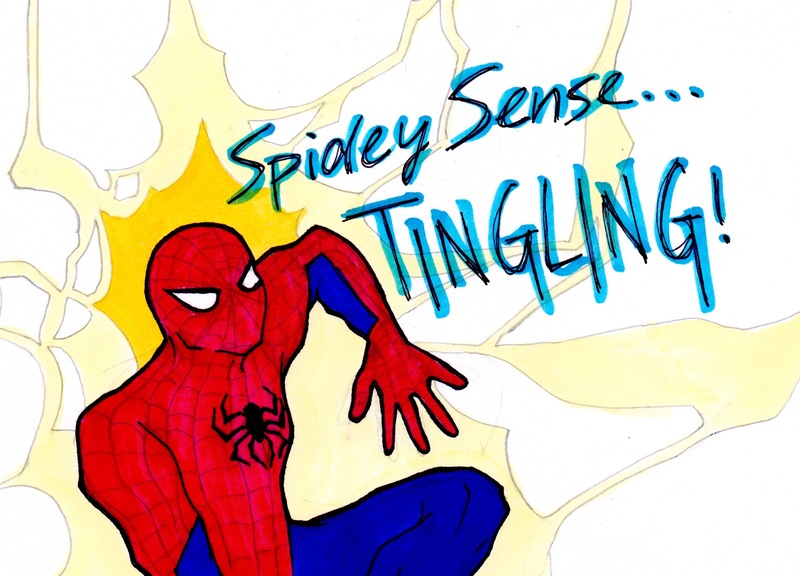 (Or if you don’t know anything about Spider-Man, he was this superhero who had this special superpower called a spider-sense that would tingle whenever danger was lurking.) 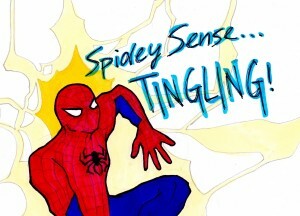 Well, this is going to sound weird but think I have my own type of “spider-sense” because I also feel a tingling sensation at the base of my skull at specific times. However, this feeling does not arise in response to the threat of danger. In fact, it is quite the contrary—I get this tingling feeling when most at-ease. Since I was a kid, I would get this tingling sensation in my head and question what it was: do others feel it too, or am I the only one? Did I have a superpower or sixth-sense, or did I have a mental disease? Honestly, I never found out because explaining such a sensation to another person usually just evokes confusion and head scratching. Basically, my brain tends to generate these intensely pleasurable sensations that flow throughout my nervous system like a wave of energy, putting me into a calm, tranquil, relaxed, euphoric, feel-good, trance-like state of mind. These sensations last for only several seconds and feel like a fuzzy, tingling, prickly, tickling, caressing physical sensory eruption spontaneously traveling like a current of electricity from my head, making its way down my spine, and fading away into the other areas of my body. 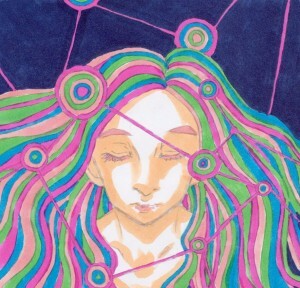 It kind of feels like an army ants who march from inside my head into my hair, crawl down my spine and then jump off my skin; throughout this journey they bite me, but it does not hurt. Rather, it feels as if they are injecting small bursts of relaxing pleasure into my body. Categorizing the Senses: A multitude of receivers (cells) within the body are programmed to respond to specific environmental stimuli. Being instructed on how to do a task such as homework problems or how to do something on a computer. To give you an example of how ASMR feels, imagine a time when you’ve had your face painted, perhaps at a carnival or art festival. You sit comfortably in a chair and remain still while the painter slowly caresses your cheek. You begin to feel a tickling, tingling sensation as the cool paint and hairs of the paint brush gently glide across your skin. This, my friends, is what ASMR feels like. Face painting stimulates cutaneous (skin) sensory receptors who respond to gentle, relaxing touch. Back in the old days of the 1990s, my curiosity of this sensation could not be satisfied, and my dissatisfaction was intensified because no one understood it and my current go-to problem solver, the internet, wasn’t really a common option then. Today, however, the power of Google and other search engines can transport us through cyber space into virtually any destination of information, concepts or ideas. Since the few people I have talked to over the years (a few friends, a college professor, my mom…) about ASMR had never heard of the sensation and thought me a little strange, I was beginning to have a slight paranoia of having some rare neurological disease and decided to browse online for possible answers. Luckily, the internet is full of weird people (and cats) and wacky things. This is how I found other people who experience the same mysteriously pleasant sensation as me. Lo and behold, I can now present the name of this vague feeling. It is called “Autonomous Sensory Meridian Response,” and it is pretty awesome. You should go ahead and Google it, YouTube it, Facebook it, Reddit it, or Twitter it as you will see that I am not alone. It is wonderful to see so many forums, interest groups, blogs and other cyber-terrestrial lands scattered throughout the internet, inhabited by people who possess the exact same “spider-sense” type feeling I once believed to be my own personal superpower. There even exists an online research group who seeks to find an answer to this bizarre social phenomenon. No definitive explanation for this psychophysiological phenomenon seems to exist, and though the rate of incidence is unknown as well, ASMR is probably not experienced by everyone. However, those who do notice its occurrence naturally might wonder what the tingling sensation actually is and why it happens. One could argue that most if not all sensations are encompassed by the vast, enigmatic notion of consciousness. 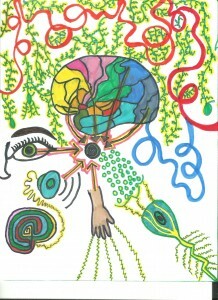 Consciousness, almost too abstract to define, yet it allows us to perceive and experience the universe. Just go with it…. People may report perceiving a sound as purple or perhaps smelling a particular scent and claiming it smells green. 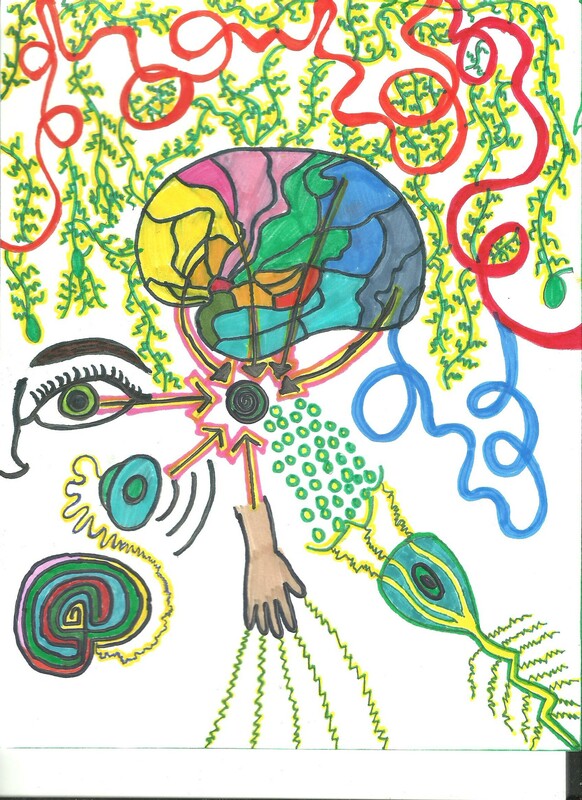 This type of sensory blending demonstrates an important feature of perception: everyone thinks and feels stimuli differently because we are all wired slightly differently in the brain and our cellular architectures all have a slightly different schematic (thanks, DNA). Further investigation of the sensory evoking entities underneath our skin will likely provide insight into why many people experience tingly waves of pleasure that surge throughout the head and peripheries, aka ASMR. I have found similar topics that all seem to dance around this enigma. However, I take offense and feel discriminated against that Wikipedia would kick ASMR to the curb just because the editors have no proof. How unfair that another unexplainable sensory phenomenon called “The Hum” (The Hum, seriously?) gets to stay on Wikipedia! That’s sense-ist! I will not stand for this. I have a dream….that ASMR will become accepted on Wikipedia and scientific search databases! Oddly enough, if you go to Wikipedia to get a quick crash-course for Autonomous Sensory Meridian Response, the closest you will probably get to an answer lies at a dead end stub page termed “cold chill.” The description provided on this page does not accurately reflect ASMR and the resources at the bottom consist of two articles about the “chills” or “thrills” response one may get when listening to music perceived as “awe-inspiring” or “moving”. While this is very similar to ASMR, it is not the same, so don’t get the two mixed up. Nor is it the goose bumps you get when cold or that “shivers down the spine” feeling you may get when scared or when hearing the scratching of nails on a chalkboard. Wikipedia took down the page about Autonomous Sensory Meridian Response due to lack of scientific evidence, so it is scientific evidence we must provide by using credible resources. Here’s an idea of what I’ve been researching so far just to look at many possible angles on the topic. In less vague terms, search for a physical sensation that…. If you happen to know a professional such as a doctor, researcher, neurosurgeon, anesthesiologist or anyone with an advanced scientific degree, ask them! Just describe it as a non-arousing type of tingling sensation (not associated with pain) that invokes a pleasurable, relaxing, euphoric state of mind and literally feels like a wave of electricity often resulting in goose bumps on the head, neck, arms and legs. I’m sure it lies somewhere within the verbal menagerie listed above but I can’t seem to pinpoint it. Instead I get kind-of-like-it-but-not-really type of results. So if you are of the scientific subset of the human population or if you experience ASMR as well and know what I’m talking about, or even if you are just interested in investigating something new, then please, I need your help! Anyone interested in collaborating by finding scientific evidence to support ASMR please email devon@chargedmagazine.org. I will provide a more structured outline of relevant research topics and we could discuss our findings. Why is it that certain behaviors of others is able to induce an opiate-like affect in the body? This feeling is as good as a drug and can alleviate headaches, relax someone who is stressed out or even put them to sleep if they have insomnia. However, people who experience ASMR need not put a substance into their body; it is more like a telepathic narcotic. Hopefully the answer can be found with diligent research into the realms of psychology, physiology, biology and neuroscience. The answer might be out there, and if not, could this be the next big scientific breakthrough? In the meantime, I’m going to go take a 23:33 minutes per megabytes dose of ASMR by watching this video. Image, Sensational Hierarchy. Inspired by: Seeley, Rod R. “Integration of Nervous System Functions.” Seeley’s Anatomy & Physiology. 9th ed. New York, NY: McGraw-Hill, 2011. 473. Print. Kreibig, Sylvia D. 2010, Autonomic nervous system activity in emotion: A review. Biological Psychology, 84, 394-421. Devon is a senior Biomedical Engineering student at Georgia Tech and studies human physiology for fun. He grew up in Peachtree City, Georgia, a place where golf-carts are a primary mode of transportation. He could ride a bike without training wheels at age two and once got busted by the cops for climbing too high in a tree. He likes most types of music, surfing the internet, recreational sports, movies, outer space and experiencing new things. He enjoys severe weather, snow, dark/overcast days or sunny/clear days but is annoyed by gentle afternoon showers. He likes life to be random and unexpected rather than planned and routine. The take-home message he’s learned from studying biomedical engineering (the “liberal arts” of engineering) is using creative, unorthodox methodology to solve complex problems.